Making my own milk was one of the first things I wanted to tackle when I went vegan. I didn’t want to rely on shop-bought milk (although to be fair you can’t really go wrong with Tesco’s Organic Soy Milk – nothing funny added to it and just £1 for a litre). Initially, I went through a phase of making my own soy milk, which wasn’t hard but required a bit of pre-planning and cooking. 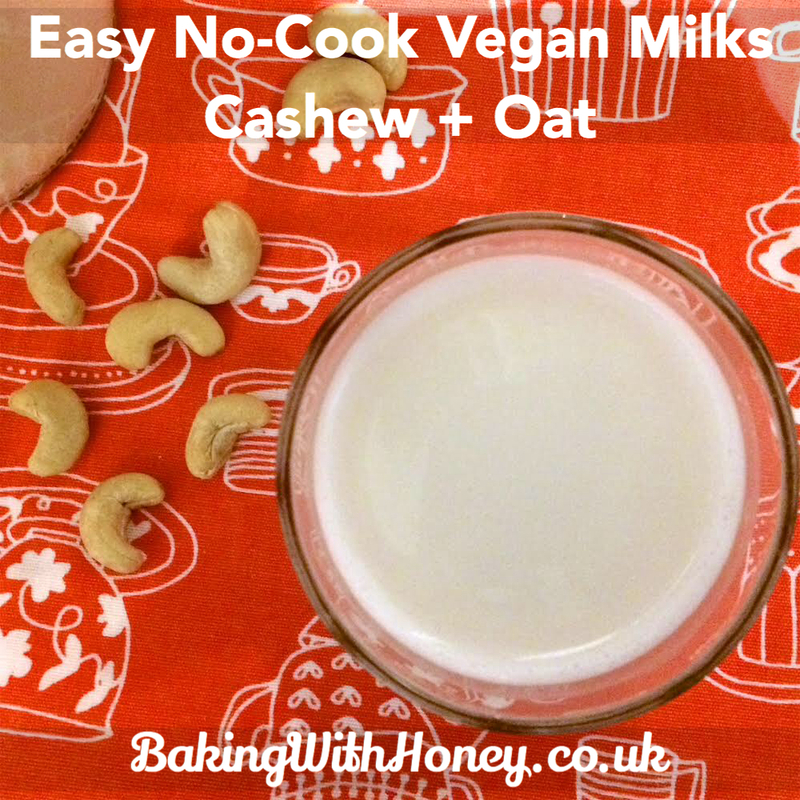 I was really keen to master some basic milks which required neither of these – and found cashew and oat milks to be the easiest by far. You do need a powerful blender, but no other tools are needed. These milks are quick and outrageously cheap – particularly the oat, even if you’re buying organic oats. 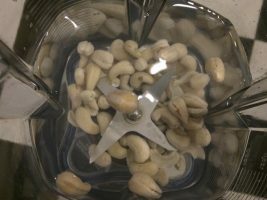 I buy cashews (and all my nuts, seeds and dried fruits) from Lidl – they are very reasonably priced and I don’t find the quality any different to other supermarkets. Unless you’re going organic, there is no difference between supermarket brands. 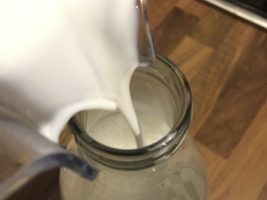 There is only one thing to bear in mind when making your own milk and that is it won’t be enriched, unlike most (non-organic) plant-based milks. 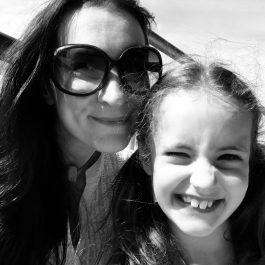 Whether or not you think it makes any difference to you is – obviously – entirely up to you. As we have a young daughter, we tend to bulk-buy Oatly (a Swedish oat milk) for this reason. Original Oatly (in the blue carton) is enriched with the same levels of calcium and vitamins as cow’s milk. Our little girl adores it and we haven’t bought cow’s milk for over a year. Despite the fact that I wouldn’t make homemade plant-milk for everyday consumption, it’s fun to make and great if you’ve run out of your usual supply! Also, cashew milk does feel like a bit of a treat. Give it a go! Instructions for both: Place everything in a blender and blend on high speed for 90 seconds minimum. It may take a couple of minutes depending on your blender (I use a Vitamix). It shouldn’t need to be sieved; if in doubt though, pour through a muslin cloth or a nut bag (yes it’s a thing). Top up with water to 1 litre if necessary. You’ll need to give it a little shake each time you use it. Keep refrigerated.